Cognex (NASDAQ:CGNX), which operates in the internet of things (IoT) sector, has started October on a rough note, and investors should expect this weakness in CGNX stock to continue during this last quarter, especially around its earnings call. With that in mind, there are two bearish plays in CGNX that I want to share with you, as each play could lead to impressive profits. CGNX manufactures “machine vision” products that capture and analyze visual information. 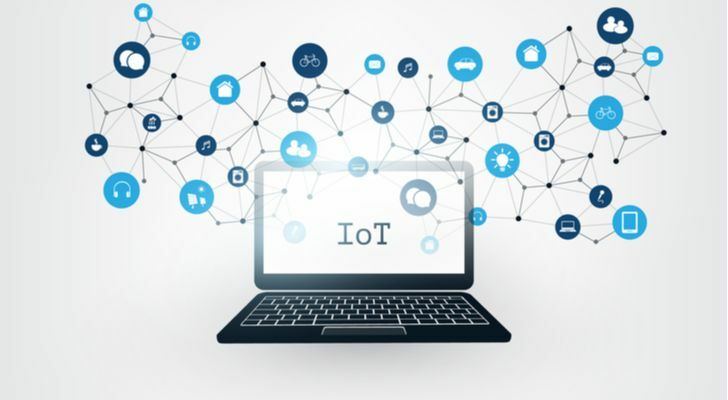 IoT involves a network of smart devices, such as interrelated computing devices, objects and machines, that enable data transmissions over a network without human interaction. Machine vision is regarded as an essential technology for industrial automation, allowing the manufacturers to monitor and control processes and bolster productivity. The market for market vision products is segmented and a wide range of companies provide different components and services. Therefore, it is hard to identify CGNX stock’s competitors as each company offers a different or niche product or service. Several of Cognex’s competitors include Honeywell International (NYSE:HON), Eastman Kodak (NYSE:KODK), Fortive (NYSE:FTV), and Canon (NYSE:CAJ) as well as LMI Technologies and Micro-Vu, two privately-held companies. Natick, Massachusetts-based CGNX is a mid-cap stock that had a great run in 2017, from about $30 to a high near $70. This year started with a different tone as soft demand in consumer electronics, especially by its large OLED display and smartphone manufacturing customers, led to weaker than expected financial results and to a lower stock price in the first half of 2018. However, CGNX stock jumped higher after the company reported Q2 earnings results on July 30, which included revenue growth of 22%. Cognex’s Q2 results were also boosted by its market leadership in machine vision solutions as well as robust revenue in 3D products, logistics and automotive markets. August and September have been good months for CGNX shareholders. I expect CGNX stock to show price weakness going into earnings. Indeed, October has not started well and the stock is down almost $10 within the last week. Short-term support for CGNX is ﬁrst at $47.9 and then at $45.5; meanwhile, short-term resistance in CGNX stock is ﬁrst at $49.8 and then at $51. 1. If you already own Cognex stock, consider using an in-the-money (ITM) covered call to protect your portfolio. For every 100 shares of CGNX stock you own, sell a CGNX Feb 2019 $40 call option, which currently trades at $10.25. The $40 option is in-the-money (ITM), offering more downside protection in case of volatility and a decline in CGNX stock around the earnings call season. This setup would offer you considerable stock protection; if you feel the weakness in CGNX stock will continue well into 2019 too, you can consider selling another ITM covered call at the expiry of this option. This call option would stop trading on Feb. 15, 2019, and expire on Feb.16. Assuming you would enter this covered call trade at the closing prices on Tuesday, Oct. 9, at expiry the maximum return would be $153 (i.e., ($10.25 – ($48.72-$40))*100), excluding trading commissions and costs. An ITM Covered Call’s maximum profit is equal to the extrinsic value of the short call option. The trader realizes this gain as long as the price of CGNX stock at expiry remains above the strike price of the call option (i.e., $40). 2. Consider buying a slightly in-the-money (ITM) CGNX put option to benefit from a decline in the stock price. The 50-strike put option is ITM because CGNX’s current market price of $48.72 is below the strike price of 50. Therefore, I would consider buying a CGNX Feb 2019 $50 put option, which currently trades at $4.70. This call option would stop trading on Feb. 15, 2019 and expire on Feb. 16. Your maximum risk would be $470 at a stock price of $50 at expiry (excluding trading commissions and costs). As long put options have a limited lifespan, if Cognex stock were to close above the strike price of the put purchased (i.e., 50), you would lose the entire amount invested in the put. Your maximum return depends on how far the CGNX stock price falls. For example, at expiry, if the stock closed at $35, then your profit potential is $10.30 (i.e., $50-$35-$4.70), excluding trading commissions and costs. At expiry, this trade would breakeven at a CGNX stock price of $45.30 (i.e., $50-$4.70). You can close this CGNX put option at any time before expiry. I hold a negative evaluation of CGNX stock on a short-term basis during this quarter. The stock price is likely to fall further. However, as prudent investors, it is always crucial to maintain a clear risk/return profile. Thus, if the drop does not happen, a move up toward higher-$50’s level might be the next leg up. Article printed from InvestorPlace Media, https://investorplace.com/2018/10/two-ways-to-profit-from-extended-pain-in-cognex-stock/.